What I like best about this book is that it's normal recipes for normal people. And what I mean by that, is that it's all approachable with easy to find ingredients and equipment that most of us have in our homes already. I like that. 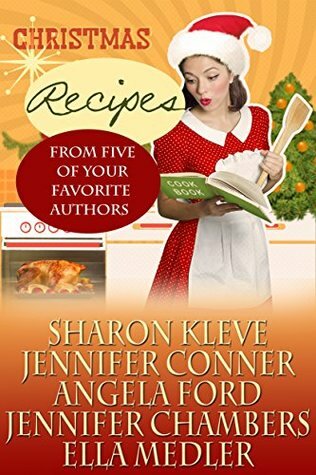 It very much feels like it's a book of recipes handed over personally by these authors. It reminds me of the ring-bound books that you can buy used from like, Girl Scouts troops or book clubs. I feel like these recipes are well loved and it makes me more excited to try them. There's a lot of variety in the recipes here. There's everything from entrees and desserts to sides, and even how to make your own pickles. There's also some drink recipes that, if your family is like mine, will be well used during the holidays. If you have some dietary restrictions, these lovely ladies have you covered. There are vegetarian and vegan options, as well as gluten free recipes. The steps are short and to the point, and easy to follow. There are photos of every dish, which I appreciate. Some photos are better than others, but I appreciate them regardless. Some of the recipes that sounded the most delicious to me include Whiskey Glazed Sweet Potatoes, Snowdrift Bliss, and Tutti Fruitti Real Fruit Cheesecake. If you're a fan of any of these authors, or are looking for something new to cook this season, this is a good place to start. I bookmarked quite a few dishes to try out this season, and I think you'd find some you like too.